Onsite Events & Activities. 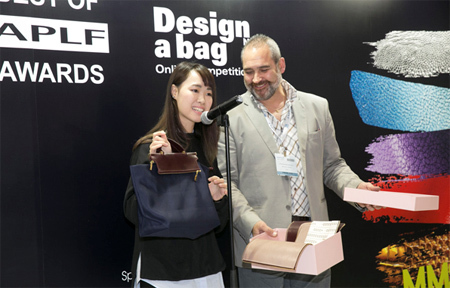 APLF offers educational onsite events of commercial benefit to exhibitors and visitors of its upcoming APLF Leather & Materials+ and Fashion Access fairs. These include seminars, conferences, materials and trend displays that are interesting, even inspirational, and which create a complete fair experience. This year's APLF fairs are no exception and here follows a brief description of some of the returning events..
...and new ones for APLF participants. David Shah, Publisher and CEO at Metropolitan Publishing BV, renowned for its publications: Textile View, View2, Viewpoint, Viewpoint Design, Viewpoint Colour, and PantoneView Colour Planner, unravels the multiple strands governing trends such as “faster than fast” fashion, millennial consumer idiosyncrasies, the fitness craze bringing rise to performance fabrics and the athleisure phenomenon, among other. This is a not-to-be-missed presentation by a noted futurologist who will help envision what lies ahead for the world of fashion. Sign up here to attend. The Material Tends Space, located at Concourse 1D at APLF Leather, features leather and other materials provided by exhibitors. Fashion Trends Space is at Concourse 3C of Fashion Acces.